The bone of contention was the conduct and outcome of the primary elections in some states -Ogun, Imo, Ondo and Zamfara. Whereas the governors cried foul that the process was impaired by the alleged manipulative actions of the National Working Committee, the national chairman maintained that the party acted right, in line with laid down procedures. 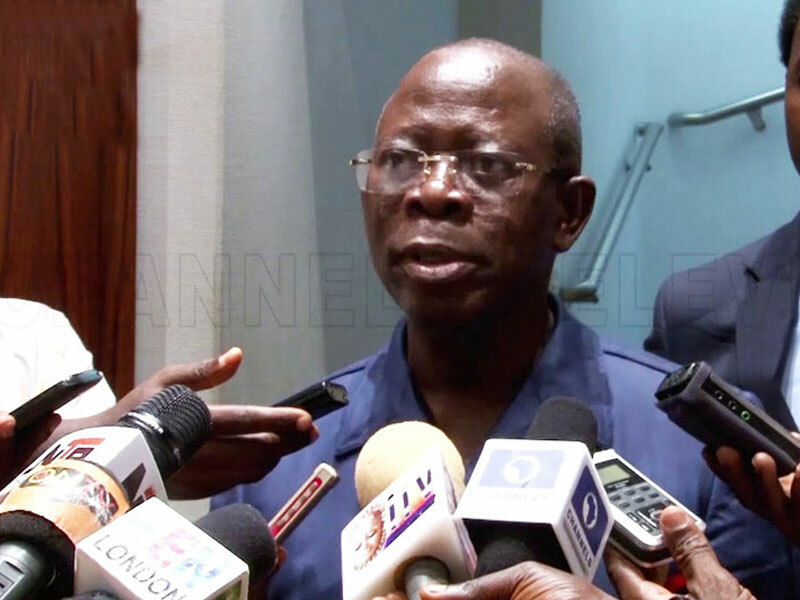 Oshiomhole also got an endorsement from the APC National Leader, Senator Bola Tinubu, who said that he acted in accordance with rules and constitution of the party and that the aggrieved governors were a minority, who were placing their personal interests above those of the party. But the governors, whose preferred candidates lost out in the primaries, in responses to the national chairman’s claim that the disputed exercises were done in accordance with the party’s rules, accused him of acting outside the rules of the party. Perhaps a look at how the primaries were conducted in the affected states will help in understanding the roles played by these men. 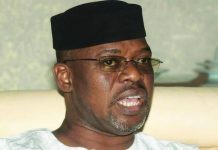 The APC NWC approved the appointment of a former Political Adviser to Ex-President Goodluck Jonathan, Ahmed Gulak as the chairman and returning officer to conduct the Imo state governorship primary election along with six other members. First, the primary election in the state was postponed twice along with that of Lagos state. However, on Tuesday when the exercise was to take place, the chairman of the panel said he arrived the state capital Owerri and moved straight to deposit the primary election materials at the police station before proceeding to hold a stakeholders meeting. Gulak’s account of what transpired had it that due to his late arrival, it agreed at the stakeholders meeting that the exercise should take place very early the next day. According to Gulak’s account, the primary was conducted by his committee and The result was submitted to the leadership of APC in Abuja. In the primary result, Senator Hope Uzodinma scored a total of 423, 895 to defeat his closest rival, Uche Nwosu who got 10,329 votes. But another account said Gulak never held an election and he absconded from his hotel room on the day of the exercise, leaving other members of the committee behind. Based on the protest brought by Governor Okorocha before the NWC, the party disbanded the Gulak-led committee and ordered that the governorship primary in Imo state be suspended indefinitely. Although, the party did not state the reason for the indefinite suspension of the exercise in Imo, It was gathered that the decision was taken due to the rancorous outcome of the exercise. In a statement issued by the then acting National Publicity Secretary, Yekini Nabena, he said APC’s National Working Committee (NWC) has decided to cancel the primary election and to hold a fresh one. But Senator Hope Uzodinma and the members of the Imo state APC Coalition group boycotted the fresh governorship primary election ordered by the party leadership. Instead, they approached the court and secured a restraining injunction to stop a fresh primary. 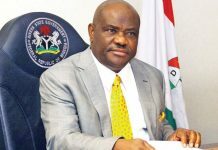 The party had fixed a rerun of the governorship primary in Imo state after cancelling the earlier one supervised by the Ahmed Gulak-committee over alleged flaws. Addressing a press conference at the party headquarters in Abuja, six aspirants in the race, led by Senator Uzodinma and Imo state Deputy Governor, Eze Madumere, said they have boycotted the fresh governorship primary. Uzodinma said all the six aspirants have accepted the outcome of the last primaries conducted under Ahmed Gulak. He said that out of the nine gubernatorial aspirants, six of them were in Abuja while other aspirants including the Son-in-law to the governor, Uche Nwosu took part in the fresh governorship primary in Imo state. In a fresh primary conducted by a new panel chairman, Brigadier General Ibrahim Agbabiaka (retd. ), former Chief of Staff polled 269, 524 to defeat eight other contestants. After the two primaries, then came the judicial contest. Both Uzodinma and Nwosu approached the courts to validate their elections but it was Senator Uzodinma that first got an Abuja High Court that compelled the party to recognise his victory. Ogun State Governorship primaries had a semblance of the theatrics that played out in Imo state, except that in the Ogun state case, there were two committees for the primaries, one set up by the NWC while the other one was formed by the state executive of the APC. While the Abiodun Akinlade, the favoured candidate of the Ogun state governor, emerged the winner in the primary supervised by the state executive, the aspirant, Dapo Abiodun linked to the Vice President, Prof. Yemi Osinbajo won the election organised by the NWC-approved panel. In the end, it was the victory of Abiodun that was upheld by the party. In a statement by former acting publicity secretary, Nabena, the party said Abiodun won the primary. While defending the party’s action, the National Publicity Secretary, Mallam Lanre Isa-Onilu blame the crisis in Ogun State on the attempt by Governor Amosun to hold an unauthorized primary, which the party viewed as contemptuous. In Zamfara State, APC shot itself on the foot by allowing the face-off between powerful elements in the state to cost it the opportunity to participate in 2019 contest in the state. 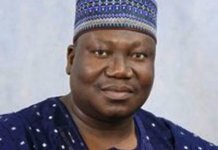 The state governor, Abdulaziz Yari, was said to be pushing to have one of his commissioners as a successor while other interests in the party were backing the emergence of Senator Kabiru Marafa. Just like what happened in Imo state, the leadership of APC cancelled the first primary election conducted in Zamfara state, blaming the governor and state government officials of directly interfering in the process. A visibly angry Oshiomhole said the decision of the NWC to annul the primary election and to dissolve the state executive was because the state government hijacked the exercise. The party constituted another panel to hold a fresh primary election but some of the stakeholders of the party in Zamfara refused to allow the new committee to go on with fresh exercise. The aggrieved stakeholders loyal to the state governor obtained a court order that prevented a primary election from being conducted. In the midst of the logjam, INEC wrote APC, saying that party did not conduct any valid primary election and as such cannot field candidates at the next year’s general elections in Zamfara. Although the party has replied to INEC claiming that it held a primary election and that its candidates emerged through consensus, it is still uncertain whether the party will recover from this especially now that the matter has become subject of litigation in the court. Arising from the conflict generated by the primary elections, the aggrieved governors have attacked the integrity of the Oshiomhole-NWC accusing it of not obeying the rules. The governors mainly from Ogun, Imo, Ondo and Zamfara states was almost moving against Oshiomhole before President Muhammadu Buhari came to his rescue last Tuesday. Speaking to journalists at the State House, Oshiomhole who came back from a trip abroad defended his actions and that the NWC, saying that they acted right and in the interest of the party. He said that nothing will make him compromise on his integrity. But the state governors accused the national chairman of treating them unjustly during the recent primaries of the APC. They said he abused his power as party chairman and acted illegally. The Imo State governor, who emerged from a meeting with the president, told State House correspondent that the party acted in defiance of a court order and enjoined Oshiomhole to submit himself to the rule of law. Buhari had, at a dinner in Abuja for members who lost out during the party’s primaries, appealed to them to put the past behind them and move on, calling on them to remain loyal to the party and work for its success in the forthcoming 2019 general elections. APC National leader, Bola Tinubu, had also thrown his weight behind Oshiomhole saying he did no wrong. The primary election crisis if anything, has shown clearly that the attitude of the politicians to electoral conquest has not changed, not even within fellow stakeholders in the same party. Another issue that showed up clearly was the inability of the party leadership to manage various strong interests within its ranks using dialogue and negotiation. Also with the level of animosity that heralded the outcome of APC’s primaries and submission of party candidates list to the INEC, it is a tough road for the ruling party to galvanise its aggrieved members into one fighting force once again.